Create more space. Protect your vehicles from harsh weather conditions. Set-up a workshop. All great reasons to call Trinity Construction and Development; garage builders who know how to provide homeowners with the space they never knew they needed.until now. 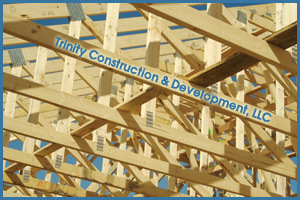 As general contractors, Trinity offers a wide range of construction services, including being hired as garage builders or garage remodelers. Perhaps your current garage is too small and you need extra space for a second vehicle or landscaping equipment. Or maybeyou currently don't have a garage and have considered building one so your car could be shielded from snow and rain. 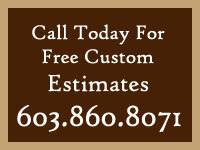 No matter the reason, as experienced garage builders, we can manage any size garage remodel project you throw at us. Better yet, because of our general contracting building expertise, we will ensure that the size and style of your garage remodel fits the style of your home and property. So, are you ready to start your garage remodeling project yet? Resale value - Did you know that a garage adds value to your home and most homebuyers consider it on their list of top features when looking for a new home? Replacement costs - when lawnmowers, bicycles, rakes, and other equipment are left outdoors, they can be damaged, and therefore need to be replaced. Curb-Appeal - a well-designed garage addition can substantially improve the appearance of your home. We understand that any new home project, including garage remodeling, must be well-thought out and planned, and we want to help. Before Trinity is hired as your garage builders, we will come to your home to review your project and provide you with a garage estimate for building costs. In addition, we will assist you in designing your garage, suggest the best garage remodeling materials, and even help you choose the appropriate door style. Wherever you need our expertise as a garage builder, we are here to deliver. Trinity is considered a top choice for many homeowners throughout the southern New Hampshire area as garage contractors who fulfill their construction obligations. So when it come time to assess the pros of building a garage, don't go at it alone. Turn to the garage builders who know how to create an extraordinary garage from an ordinary space.